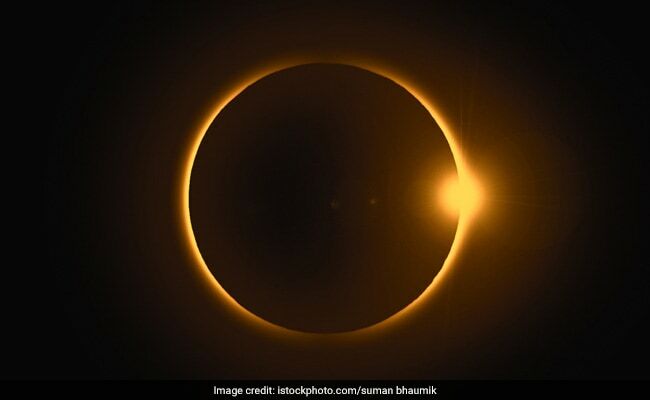 The sight of the moon's shadow passing directly in front of the sun, blotting out all but the halo-like solar corona, will draw one of the largest audiences in human history. Salmon/ Murphy: Millions of Americans armed with protective glasses are taking positions along a slender ribbon of land cutting diagonally across the United States to marvel at the first total solar eclipse to unfold from coast to coast in nearly a century. After weeks of anticipation, the sight of the moon's shadow passing directly in front of the sun, blotting out all but the halo-like solar corona, will draw one of the largest audiences in human history, experts say. When those watching via social and broadcast media are included, the spectacle will likely smash records. Some 12 million people live in the 70-mile-wide (113-km-wide), 2,500-mile-long (4,000-km-long) zone where the total eclipse will appear on Monday. Millions of others have traveled to spots along the route to bask in its full glory. Murphy, North Carolina, in the Smoky Mountains about two hours north of Atlanta, is among hundreds of small towns that are preparing for a huge influx of visitors. "The weather forecast for Monday is beautiful, probably not a cloud in the sky all day," said Dave Vanderlaan, 61, a retired landscaper. "We're busy, but tomorrow anybody in Atlanta who says they want to see total, they're going to come up to this area, so it could be crazy." The phenomenon will first appear at 10:15 am PDT (1715 GMT) near Depoe Bay, Oregon. Some 94 minutes later, at 2:49 pm EDT (1849 GMT), totality will take its final bow near Charleston, South Carolina. The last time such a spectacle unfolded from the Pacific to the Atlantic coast was in 1918. The last total eclipse seen anywhere in the United States took place in 1979. In Depoe Bay, a town of about 1,500 people, clear skies on Sunday raised hopes that the corona would be visible and not obscured by coastal haze or cloud. Lisa Black, from Vancouver, Canada, said she and her party planned to have breakfast on the beach and be ready with their glasses. "And, yeah, it will be cool to be able to look out at the ocean and just have the openness when it goes totally dark," she said. For millions of others who can't get there, a partial eclipse of the sun will appear throughout North America if there is no local cloud cover. Perhaps never before have so many people had the opportunity to see a total eclipse, said Michael Zeiler, a self-described "eclipse chaser" who on Monday will notch his ninth time seeing "totality." Weeks of publicity have fanned excitement, he said, and may have persuaded many families to make last-minute plans for a road trip to the zone. Zeiler, who runs GreatAmericanEclipse.com, a website devoted to the event, estimates that up to 7.4 million people with travel to the zone to observe the total eclipse, which takes place in the peak vacation month of August. Many people have trekked to remote national forests and parks of Oregon, Idaho and Wyoming, while others have bought tickets to watch the show en masse in a Carbondale, Illinois, football stadium, a two-hour drive southeast of St. Louis. In South Carolina, Charleston County's more than 16,000 hotel rooms are booked, tourism officials say. Police expect up to 100,000 visitors to the area on Monday. Those who live along the path, which cuts through a few population centers like Kansas City and Nashville, Tennessee, can simply walk out their homes and look skyward. A predictive map issued on Sunday by Weather Decision Technologies Inc shows clear skies in the West, clouds in Nebraska and northwest Missouri, and partly cloudy conditions farther east. The sun's disappearing act is just part of the show. As the black orb of the moon gradually nibbles away at the sun's face, the heavens dim to a quasi-twilight, and some stars and planets emerge. The last glimmer of the sun gives way to a momentary sparkle known as the "diamond ring" effect just before the sun slips completely behind the moon, leaving only the aura of its outer atmosphere, or corona, visible in the darkness. The corona, lasting just two minutes or so during Monday's eclipse, marks the peak phase of totality and the only stage of the eclipse safe to view with the naked eye. The overall display as seen at each point along the eclipse path, including the partial phases before and after totality, lasts nearly three hours.